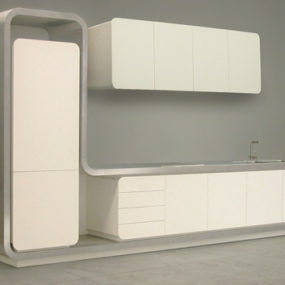 Contemporary Kitchen by Strato - Sliding Island Top and Movable Storage Wall! 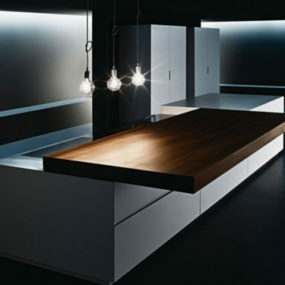 Contemporary Kitchen by Strato – Sliding Island Top and Movable Storage Wall! 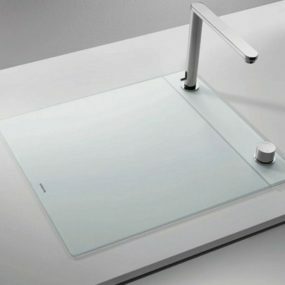 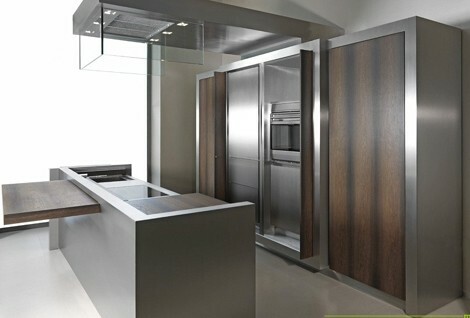 Layer 031 is a contemporary kitchen by Strato that will adjust to your lifestyle. 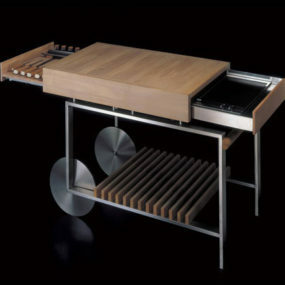 Designed by Marco Gorini, it is composed of two essential blocks: a movable wall and a central island. 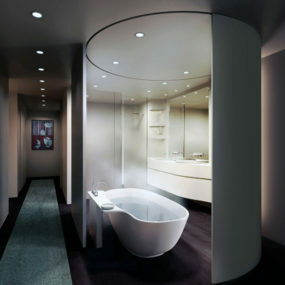 The geometric, logical design is about ‘desire to share the space and the pleasure of being together’. 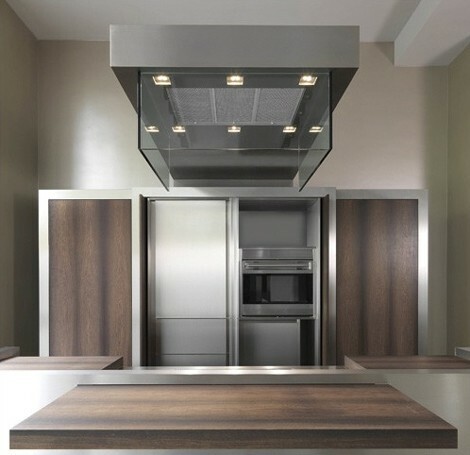 Gorgeous to look at as well as to use, you’ll love being in this contemporary kitchen. 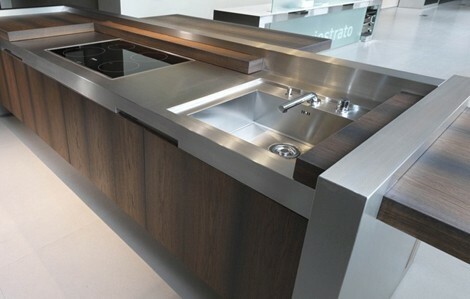 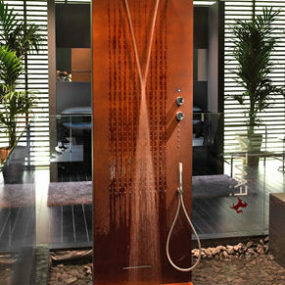 Seamless satin stainless steel and precious fossil oak wood combine perfectly. 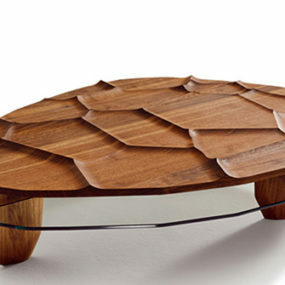 Fossilised oak is dug up from the ground in areas of deforestation, giving it a rare status in that it does not further deplete living forests. 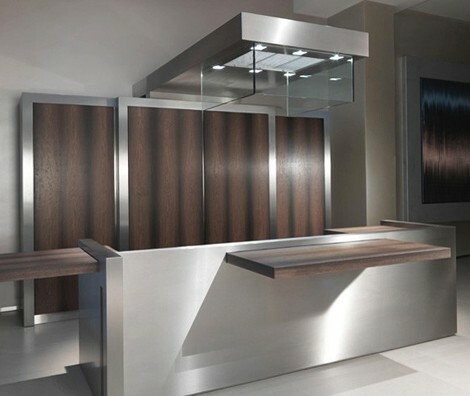 Immense wooden doors hide the work area located within the movable wall, for a tidy, minimalist look. 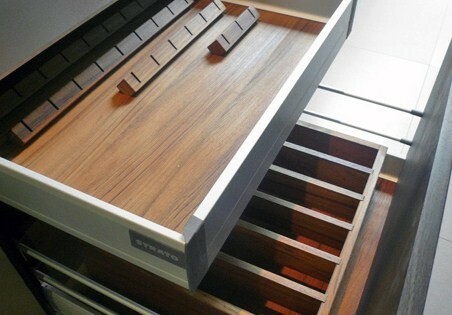 Within, storage abounds. 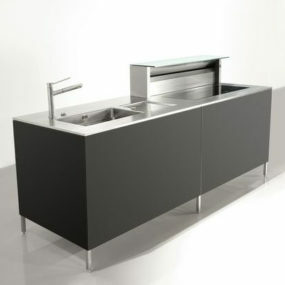 The island top can likewise be contained within a sliding fossil oak top which hides the sink and food preparation area and transforms the kitchen into an ideal venue for a cocktail party! 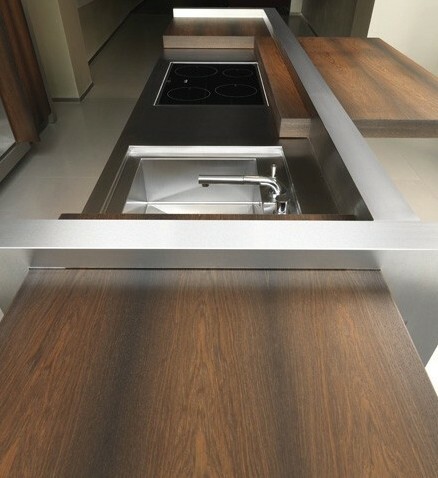 The all-important cooking hood is a cantilevered overhang to the island. 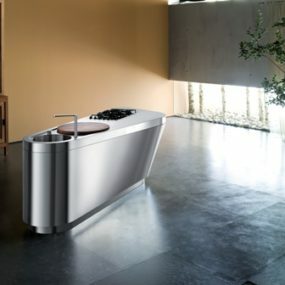 By Strato.